You don’t need to feel stuck with the OEM anymore. 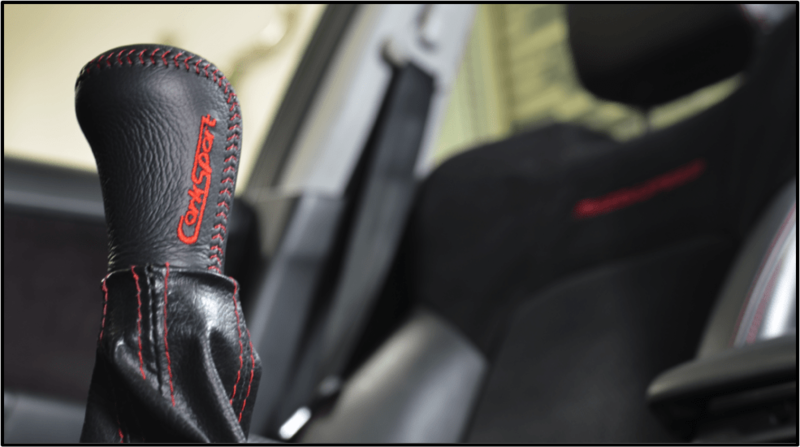 Our double-adjustable short shifter for the 2007-2009 Mazdaspeed 3 allows you to personalize throw distance and shift knob height (up to 2 1/4″ in height reduction!). See the video, full specs, and design with the link above. You know you need this. Your Blow-Off Valve can’t do all the work. That’s why we developed the Mazdaspeed Electronic Boost Control Solenoid for ya: An EBCS that uses the latest solenoid technology to build boost faster and minimize boost spikes and creep. To feel the difference in horsepower for yourself, just click on that link to buy yours today. The next suspension mod for your 2006-2007 Mazdaspeed 6 is here. 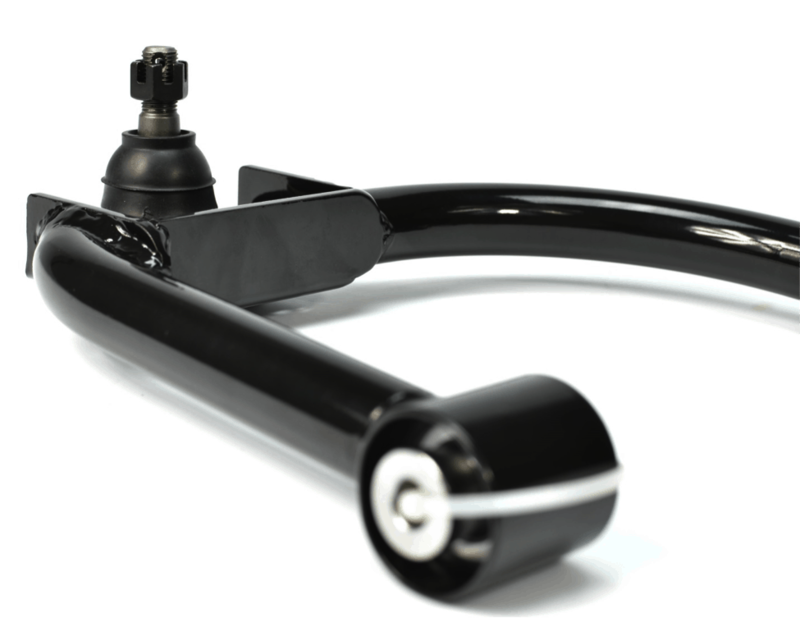 Our adjustable front camber arms help you balance your tires and grip as you perfect your cornering performance on the track—then adjust back to your ideal degree for city driving. These pair nicely with our front strut bar for the Mazdaspeed 6. Want some style to go with that new short shifter? We’ve got you covered. Our embroidered and hand-stitched leather shift knob weighs 320 grams, improving gear-changing smoothness and making you feel more connected to the transition. Whatever Mazda you drive, you need this knob. Get ready to brake in a whole new way. 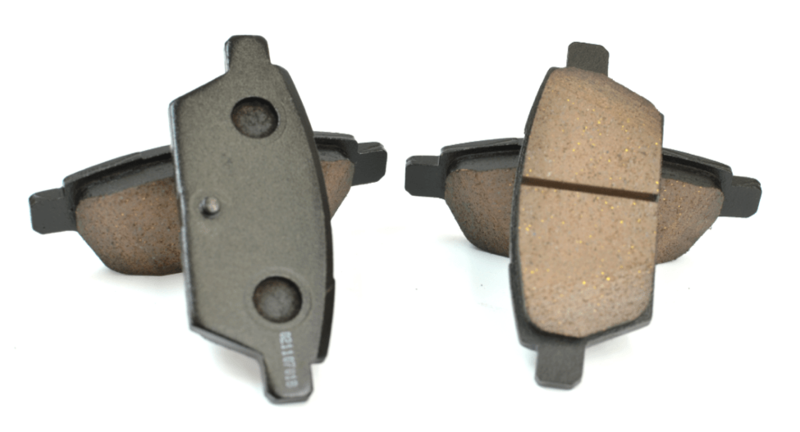 These Mazdaspeed 6 rear brake pads use our proprietary semi-metallic and ceramic formula to improve your braking power and handling. With a smooth feel, low dust, and less brake fade than the usual standard, you need these—and some new front pads while you’re at it! Increase your performance and step up your look with our latest hood scoop for the 2010-2013 Mazdaspeed 3. With a 52% larger opening than the OEM hood scoop and a mirror-like finish, you’re going to turn heads while increasing the cold air inflow to your top mount intercooler. 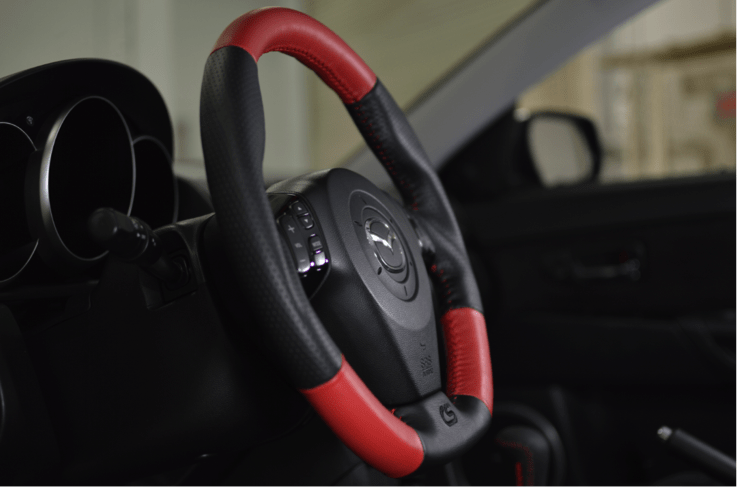 Last (er, most recently) but not least: Our hand wrapped and stitched leather steering wheel for the Gen 1 Mazdaspeed 3 and Mazda 3! As our engineer Barett wrote in a recent post, if you’ve been on the fence about performance steering wheels, this is going to blow you over. But act fast. There’s a limited availability of these beauties. I fell in love with that new steering wheel for first gen speed3. Really realy really hoping you guys come up with one for the Second Gen Speeds!! Any chance of getting the CS enhanced steering wheels done for other models if the owner supplies a steering wheel? How close is close on the turbo? I’m ready to pull the trigger on the bnr S3, but I’m anxiously waiting to hear more about your turbo. Rumor has it that it will be similar to the S3 performance wise, just more bolt-on friendly replacement for the stock K04. Care to comment on what to expect? I just got back from my first ride, very short, but first impression was that the front end actually seemed to get smoother through the bumps. My car is a brand new 2015 Mazda3 iGT 5 door with less then 200 miles on it. I can’t wait for the springs to arrive so the desired stance will be achieved. CorkSport has a believer and continuing customer for sure. Previous PostPrevious Dear Car Guy: What Swag Do You Want?